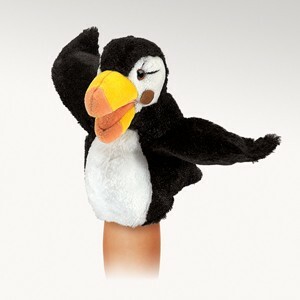 Folkmanis 3027 - A northern seabird perfect for small hands, the Little Puffin puppet has wings that flap and a colorful beak that signifies he's ready for love! Movable beak and wings. Puppet measures 6” x 3” x 8”.